A mindfulness meditation trial in one state’s schools has shown improved mental health and well-being of students and teachers. The trial, rolled out by the Victorian Government across 12 of the state’s schools, revealed significant improvements in the mental health and well-being of students and teachers, as well as a reduction in bullying behaviour. While there is an abundance of evidence backing the benefits of mindfulness in adults, little research is available as to its effects on children, including how it might impact their learning inside the classroom. 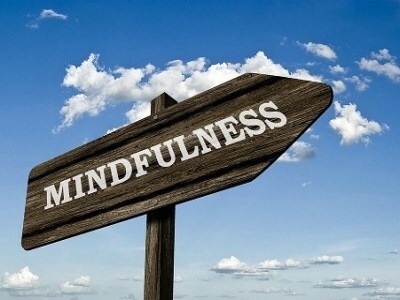 The trial, carried out in conjunction with Smiling Mind – a not-for-profit organisation that promotes mindfulness – was the largest study of its kind in the world, according to Dr Addie Wooten, the company’s CEO. “This is the largest study that we are aware of, worldwide, to evaluate the use of technology to support teachers to integrate mindfulness directly into their classrooms,” she said in a statement. Last year, a meta-review of the effects of meditation being used in schools showed that mindfulness is just as important as any other school program when it comes to maintaining and improving student and performance. The review, published by the University of Melbourne, combined the results from 15 studies and almost 1,800 students from Australia, Canada, India, the UK, the US and Taiwan. The findings showed meditation leads to three broad outcomes for students: better academic skills, social skills and mental. Statistics have shown that 14% of Australian children aged 4-17 have mental health or behavioural issues. Children with mental health problems are also statistically more likely to report a high rate of suicidal thoughts and substance abuse. Despite this, only 50% receive professional help. Many parents report that getting help is either too expensive or they don’t know where to get it, and think they can manage on their own. In recent years, attention has started to turn towards taking a preventative approach to enhance mental health and reduce the burden of mental illness.